Portsmouth, founded with the Compact of 1638, is the second oldest town in Rhode Island. 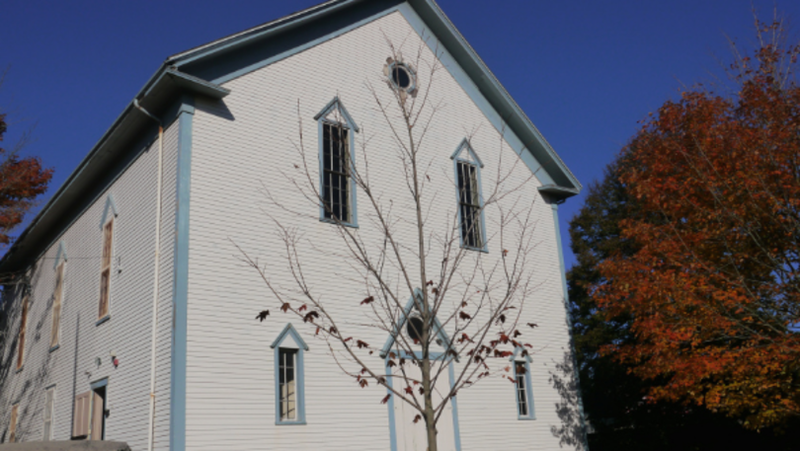 The main museum of the Portsmouth Historical Society is housed in the former Union Church building, built in 1865. Also on the museum grounds is the Southermost School building, a one-room schoolhouse which is the oldest preserved such schoolhouse in Rhode Island and may be the oldest in the nation, and the “Old Town Hall” that was used as one of the first town administrative buildings. The museum has a number of artifacts of Portsmouth’s history that date back to when native Americans lived on the land. In addition to the restored church congregation room, the museum has memorabilia that belonged to Julia Ward Howe, a Portsmouth resident, whose poetic verses were used for the “Battle Hymn of the Republic”. Other artifacts include a 19th century horse-drawn hearse and a mail wagon from the early 1900’s.